born 23rd April, Covent Garden, parents moved there from South Molton, North Devon, shortly before. Turner is considered one of England's greatest artists. What is Turner's relevance to Manning's Pit? His Uncle lived very close to North Field, which was the name of the field at that time. It is likely that Turner visited him. Turner himself almost certainly knew FR Lee (see below), and we have uncovered evidence that suggests that he - at least once - collaborated with Lee, as did the other important Victorian artists, Landseer and Cooper. More to be added on this topic. 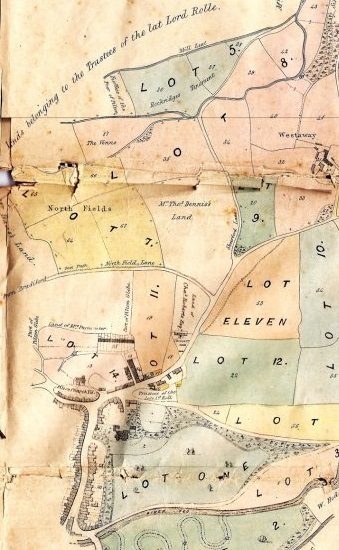 Here is a clip of a modern map taken from Google Maps, with the locations of Manning's Pit, Littabourne, where Turner's uncle was to live, Pilton Street, where Banjamin Manning had his home and shop, and Bellaire, where FR Lee, the Hibbert family and Sakit's family lived. It is only a two minute walk from Saki's house to Manning's Pit today, and it would not have taken very much more time to get there across the fields from Littabourne. Turner the artist was the son of William Turner and Mary Turner (née Marshall). His grandfather, John worked at South Molton as a saddler and his father, William, was a barber and wig-maker in the town. The family are said to have lived for at time in a cottage in North Street (then known as Steppa Lane.) William Turner had four brothers and two sisters. Joseph Turner's early life was spent at 21 Maiden Lane (Covent Garden) and his father encouraged him in his desire to be an artist, selling his son's drawings at his barber's shop. Rev Swete in his tour of North Devon observed pillar in right of Road (the Longstone) at the junction of Bellaire and Under Minnow Road. There will be more information added about the Longstone under Sarah Hibbert's details later, but this stone was to become a feature of the garden F R Lee created in 1859 after he moved to Broadgate House. The modern day photograph shows the Longstone as it is now, outside the walls of Broadgate House. This spot was said to have significance as a central point for many ancient routes, and it has been surrounded by Save Manning's Pit posters signs and banners in the last two years. More information to come also about the ancient routes. with the walls of Broadgate House behind it. Poor Lieutenant Hector Munroe met a tragic and embarrassing death on the 2nd December 1972, that could have come straight out of one of Saki's stories.. He was attacked by a tiger while answering a call of nature in some bushes.In a world without television or much amusement, ceramic sculptures depicting his gruesome were all the rage for quite some time. Whether or not he was related to the family of Hector Hugh Munro (Saki) his death must surely have had an influence on the boy Hector who grew up in Broadgate Villa. Thomas Lee Jnr born at Barbican House, near Trinity Street, his father a successful architect. 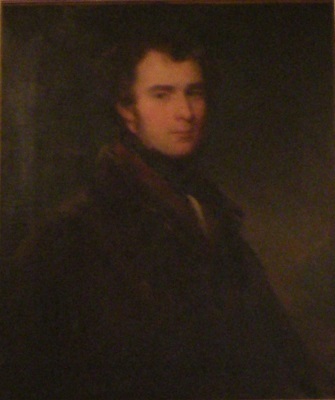 Portrait of F R Lee as a youngish man. please note, more information is still being added to it. Turner comes to Barnstaple, on his 1811 tour, perhaps partly to visit his uncle who lives in Barnstaple. provides an image of Turner's sketch plus more information. This description gives Turner's Uncle as being called John, not William (see later and he was Master of the Poor House, which was thought to be the workhouse on the site that became the modern Barnstaple Library. 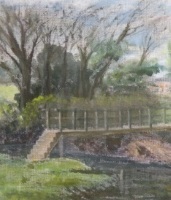 Turner paints Barnstaple Bridge – another visit to his Uncle? Frederick Richard Lee becomes a student at the Royal Academy. J M W Turner was a Member and a Tutor of the Royal Academy, and the two of them are likely to have known one another, especially as they both had family in North Devon. 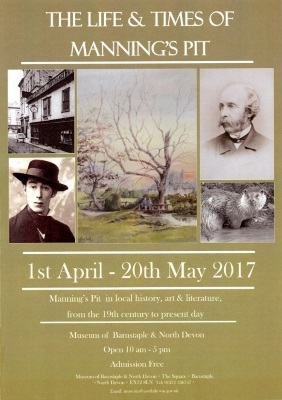 Benjamin Manning moves to Pilton around this time. he is later to marry F R Lee's daughter, and become Mayor of Barnstaple. was visiting his family in Barnstaple. 27 Oct Pilton Parish Church John Gribble Manning baptised, Benjamin Manning's first child. Thomas Lee Jnr drowned in accident at Mortehoe. He had been a successful architect like his father, and there is a plaque commemorating him at St Anne's Chapel. 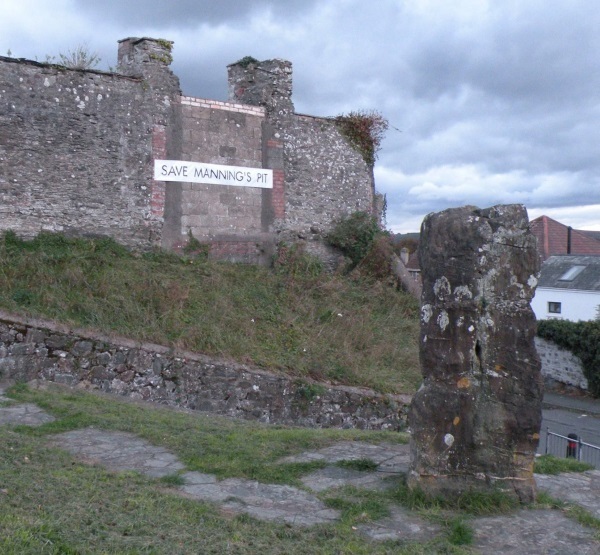 Among his works were the Wellington Monument and Arlington Court, and also the Barnstaple Guildhall - where Benjamin Manning was later on to attend Town Council Meetings - and the Town Council in 2017 voted unanimously against any development on Manning's Pit. Pilton Parish Church Frederick Richard Manning baptised, Benjamin Manning's third child. 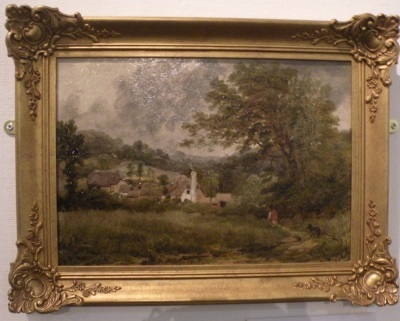 JMW Turner's uncle moves to Littabourne from central Barnstaple. Littabourne is only a quarter of a mile from Manning's Pit, and the about the same distance from Broadgate House where F R Lee was to live later. While Turner died before Lee bought Broadgate house, it is possible that Lee knew about Turner's uncle, or even had some contact with him in Littabourne while on family visits to Barnstaple..
Pilton Parish Church Harriet Manning baptised, Benjamin's fourth and last child. Sarah Catherine Augusta Lee born in (London? Kent?) F R Lee's daughter. Hugh Hibbert enters Regiment Royal Fusiliers, went with them as a captain to the Crimea. He reached the rank of Brevet Major in 1855 without purchase due to exhibiting bravery and leadership on the battlefield. 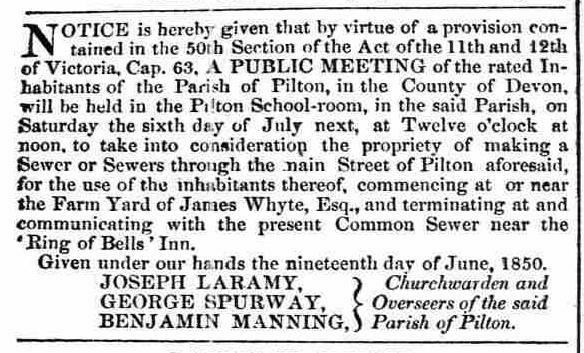 Sale of Pilton Estate, including the field known as Northfield (or North Fields) part of which became known later as Manning's Pit. 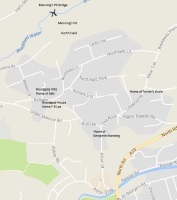 As the map makes clear, it was bounded by Northfield Lane, which has not changed its name. 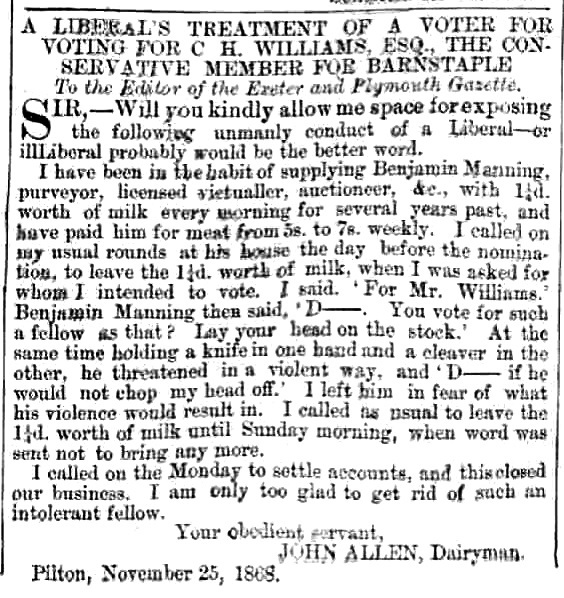 Benjamin Manning writes to the North Devon Journal during his dispute with "Tenant Farmer" over pigs. "Indeed, I admit the impropriety of keeping pigs in places not adapted for that purpose; but the place in which I store mine is situated at the extremity of a garden 120 feet from the nearest dwelling house. This place is sheltered by a wall 10 feet in height; so that nothing, in the way of mischief, can reasonably be supposed to result from pigs being kept under such circumstances. But one word more – will Mr “Tenant Farmer” be so bold, and so manly, and so honest, as to give his proper name and address in answer to this, that our townspeople may have the opportunity of knowing to whom they must send their wash. I hope he will learn from this that pigs are not the only unclean animals; and that meanness and spleen, grounded on the most fallacious, ungenerous, and unjust principles, as they of necessity be, can never fail to merit the censure and disapprobation of very lover of truth." Benjamin Manning stands in Municipal Elections for North Ward as "champion of pig-sties"
Harriet Eves Lee dies in Kent, and is buried there, where she and Frederick Richard Lee have been living. Manning and Sons butchers shop in High Street, note the sign also says Auctioneers. This shop looks very much the same today. It is now a shop by the name of "Saltrock"
Benjamin Manning one of overseers of Parish. Benjamin Manning, butcher, grocer, auctioneer, living near 30 Pilton Street with wife Elizabeth and four children, plus wife's father and mother, John and Elizabeth Gribble. John is a Greenwich Pensioner. Also Manning nephew, John. Turner never married and in his Will he made provision for land for the building of almshouses for "decayed English artists (Landscape Painters only) and single men". In a codicil made in 1848, he left all his pictures to the nation, providing that an Art Gallery, to be known as "Turner's Gallery", was built and maintained at the nation's expense. If it was not built within ten years from the date of Turner's death then his heirs-at-law could claim the entire collection. When Turner died in December 1851, his next-of-kin contested Probate on the grounds that he had been of unsound mind. Benjamin Manning (auctioneer) sells a house owned by a Mr William Turner (Mason) in Silver St. Probably coincidence but see below, 1856. On 19th March 1856 after long drawn out court hearings, the "charity" money was split between his five cousins or their descendants with the result that Turner's plans for his almshouses came to nothing. According to a report in the Exeter Flying Post dated March 20th 1856 the agreement reached was that Turner's pictures were to be handed over to the National Gallery together with a sum of £200,000 to the Royal Academy for the encouragement of landscape painting. A large fortune, consisting of about £100,000 in funds and other property was to go to Mr. Turner's nearest relations; Mr. T. P. Turner and Mrs. Matthews of Exeter, Mrs. Tepper and Mrs. John Widgery of South Molton, and Mr. William Turner of Barnstaple. Mrs. John Widgery (Mary Ann Turner Tucker Widgery) was a first cousin to the artist and the daughter of his father's sister Mary. The Royal Academy has a charming sketch of a "sunfish" painted by him in this year, caught by him while on a trip (presumably in his yacht) from Algiers to Gibraltar. This is a photograph from 1858 of Broadgate Villa, which was across the road from Broadgate House.. You can see two trees on the right on a hill, and the slope of Manning's Pit is almost certainly just beyond them. The trees would border the field. 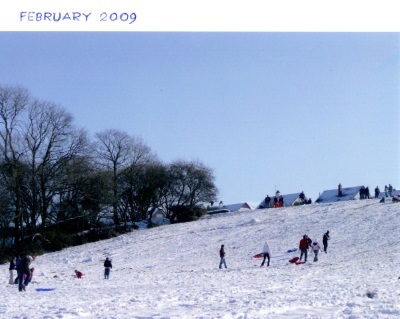 This shows clearly how close both houses were to the fields now known as Manning's Pit. Broadgate Villa was to become the home of the Munro family, and the young Saki a few years later. There is a photograph of the Desborough family on the Pilton Story website, with more information about them. 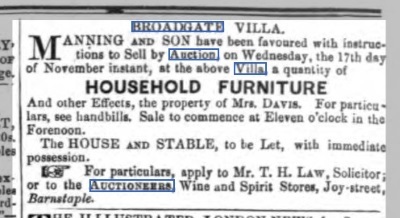 Incidentally, on Thursday November 11, in 1858 Mr Manning was involved as auctioneer in a sale of furniture for a Mrs Davis, at Broadgate Villa. We do not know whether that means the Desborough's were there as well, but it certainly is possible that the F R Lee came to the auction, as it was just across the road from his own house. FR Lee makes a new garden and inserts a wall around the Longstone, and from the 1860s spent his time between Broadgate House, his yacht in which he sailed the world, and South Africa, where he owned several farms. He died in South Africa and was buried there in 1879. Catherine Sarah Lee marries Col Hugh Hibbert (1828-1895) at Birtles Cheshire – it would be interesting to find out more about how they met, especially as he was in India much of this time. They were to have five daughters and one son, so Colonel Hibbert must have returned to England regularly! 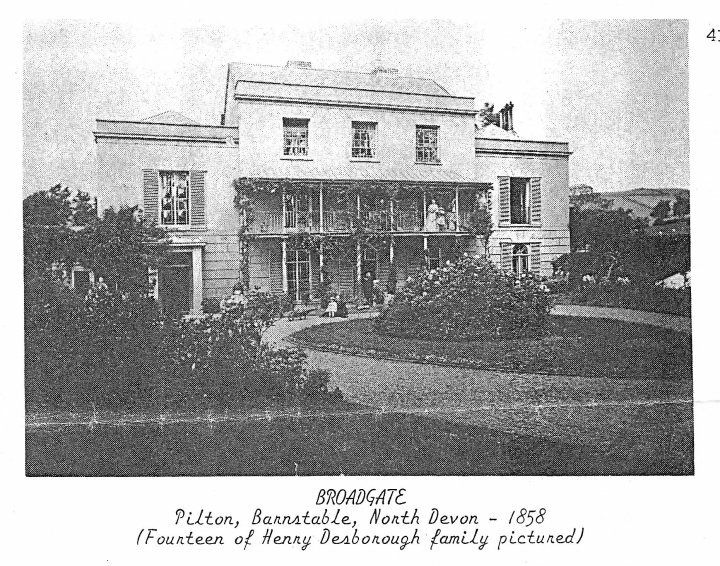 It appears that they spent much of their married life in Broadgate house, well before Lee died, as (at least most of) their children were baptised in Pilton Church, and Col Hibbert was a magistrate in Barnstaple. Benjamin Manning aged 49 and family plus mother in law and three servants now in Joy Street, he is a spirit merchant and auctioneer. Court case over pig, Benjamin fined for abusive language. "I am agreeably surprised with India, tho' it is not a place I should like to live in and shall not wish to stay a day longer than was absolutely necessary. " 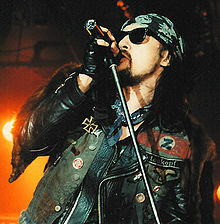 Hector was to become a world famous short story writer, known under his pen-name "Saki." He spent most of his childhood living with his aunts in Broadgate Villa, just across the road from Broadgate House. Margaret Dora 4th child of Sarah and Col Hibbert born. She became the mother of Henry Williamson's wife. being leased by Manning from Sir Frederick Williams. Captain Munro left his children in Pilton, in Broadgate Villa under the care of his two sisters when he had to return to work in Burma. 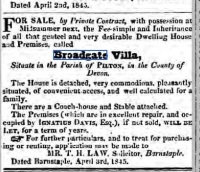 No date yet for when Mercer family acquired/leased Broadgate Villa, but it was around this time. 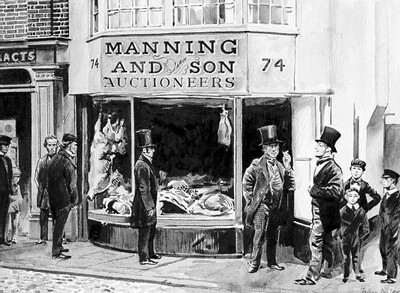 Manning John and Son, butchers and cattle dealers, 74 High Street. "Wanted an active and intelligent lad"
An auction held in Manning and Sons Auction Rooms, above the Bodega. Sarah inherits Broadgate House and Estate. 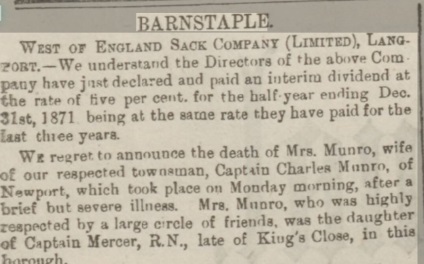 Carlotte M Munro aged 50, "tom"
Leah M Hepper servant aged 27 born Morchard. The above link takes you to a full report from the North Devon Journal of the exciting events that took place that day. As Ethel Munro, Hector's sister, related in "The Square Egg", the Munro family watched events from a room above what is now Youing's sweet shop. Benjamin Manning was ill around this time, but his son William nominated Lord Lymingotn, who won the Election. Col Hibbert was one of those who nominated his opponent, Sir Robert Carden. Hector Hugh Munro as a boy. "The death is recorded of Mr. Benjamin Manning, of the Bodega, Joy Street, and chief of the firm of Manning and Son, auctioneers. 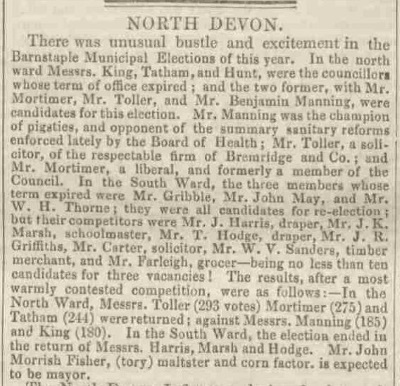 The deceased, who died at the age of 72, has led an active and a useful life, and at one time took a prominent interest in local affairs, having been elected for three terms of three years each to the Town Council. He was Liberal in politics of the old school, always expressing his opinions fearlessly, but sometimes with an amount of vehemence which made it rather unpleasant for an opponent should he be close at hand. He was a self-made and self-taught man. His knowledge of Shakespeare was considerable, and we never recollect hearing Mr Manning speak on political matters, either in public or private, without illustrating his argument with some apt quotation from that poet. He established the Bodega wine and spirit vaults, and for years he made it the head centre of Liberalism in the town. His strong convictions and his love of expressing them always drew to the house the principal men of his party, who now regret his decease. Mr Manning had been failing in health for the past few years, taking to his bed three weeks ago." Col Hibbert dies - buried in Pilton Churchyard. Augusta Munro dies, Hector's Aunt. The Woman who Never Should (political sketch) by H H Munro, plus other publications. The Not So Stories and The Westminster Alice. 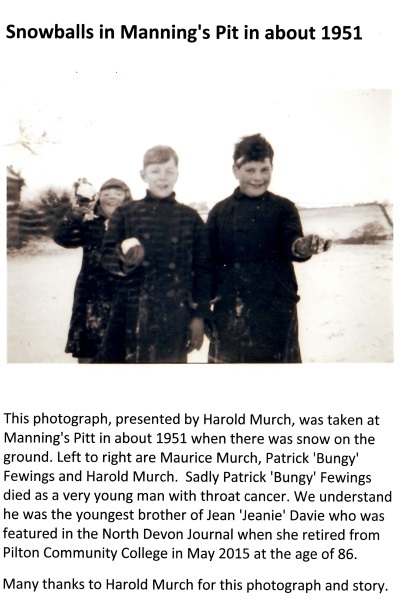 We do not know -yet - when the bottom part of the field known as North Field first became known as Manning's Pit. 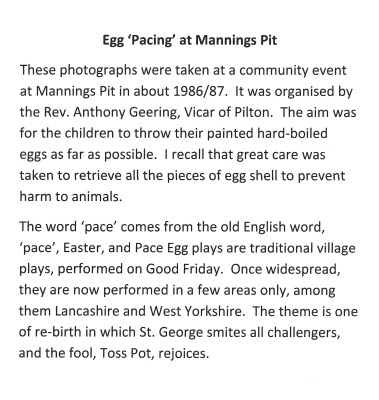 We have however spoken to locals whose parents said they played in Manning's Pit when they were children, back in around 1904, so it was known by that name then. granddaughter of Sarah Hibbert, and great granddaughter of F R Lee. When William Came (novel) published, H H Munro/ Saki. Beasts and Super Beasts published H H Munro Saki. These short stories include The Lumber Room. Also The East Wing (Short story) published. Sarah Hibbert has to move into small cottage on estate to settle wayward son's debts. Broadgate Estate sold - catalogue on Pilton Story website. Sarah Hibbert is forced to sell the Estate and many possessions in order to settle the debts of a wayward son. One report in a newspaper mentions a painting of F R Lee's that was "touched in " by J M W Turner, RA. The sale includes the portrait of FR Lee (shown above, earlier) which is now in Barnstaple Museum. The Square Egg and Other Sketches, by Ethel M Munro, Saki's sister, published. 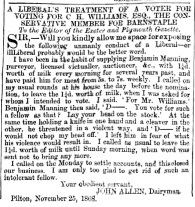 and a description of Hector's interest in the 1888 By Election. 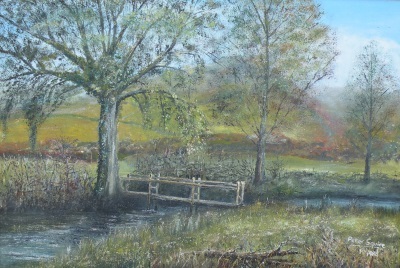 While writing this book, Henry Williamson is said to have walked up and down all the streams and rivers in North Devon where Otter Hunting took place. We know there was a kennels in Pilton, and with his links to the Hibbert family - he met Ida and her father Charles through the Otter Hunt, the chances that he walked through Manning's Pit are very high. with a dedication to "Grannie Hibbert", Sarah Catherine Hibbert, Ida's grandmother. You can read more about Henry Williamson's feelings for Sarah Hibbert at the link above. We are grateful to the Williamson family for information that they have given us about the link between the Willaimson and Hibbert families. Sarah "Grannie" Hibbert dies. 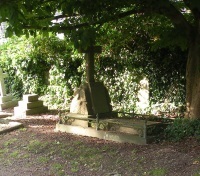 She is buried in Pilton Churchyard alongside her husband. On Foot in Devon by Henry Williamson published. This book describes walks around the North Devon Coast, and there is a mention of Saki in the portion dealing with the route from Braunton to Barnstaple. We have been told by the Williamson family that the Hibbert and Munro families did indeed socialise. 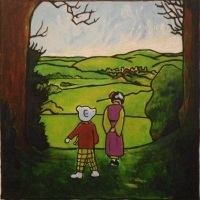 It is often said the Munro children were kept apart from other children and society, but they did in fact mix with their neighbours, the Hibberts. This is not surprising considering the two families had much in common, with their connections to both Kent and India. Both families also attended Pilton Church. 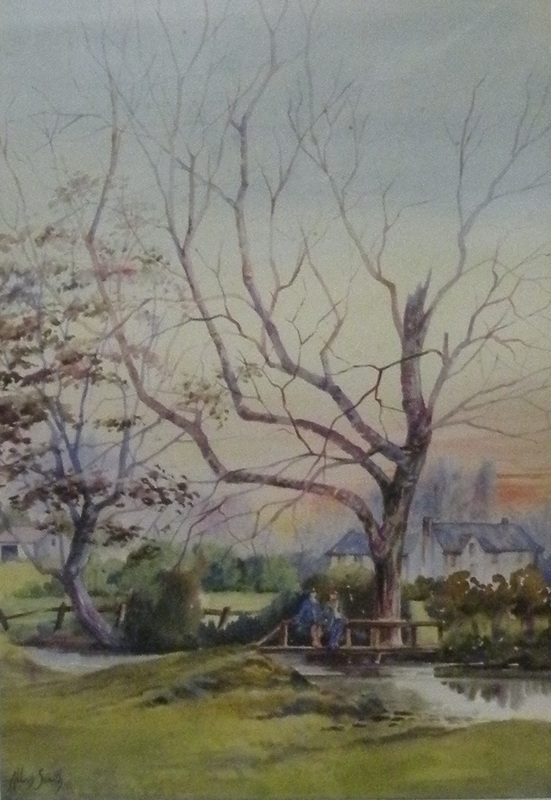 HW knew all the rivers of North Devon and it is highly probably that he visited the Bradiford Valley and the Manning's Pit area, either when researching for his books, fishing - Bradiford Water is a known salmon river - or in earlier years visiting Grannie Hibbert. 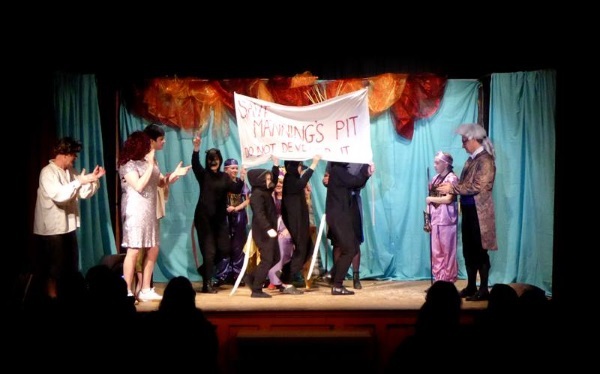 in support of the campaign to Save Manning's Pit, in 2017. Allan Smith retires from Barnstaple Grammar. 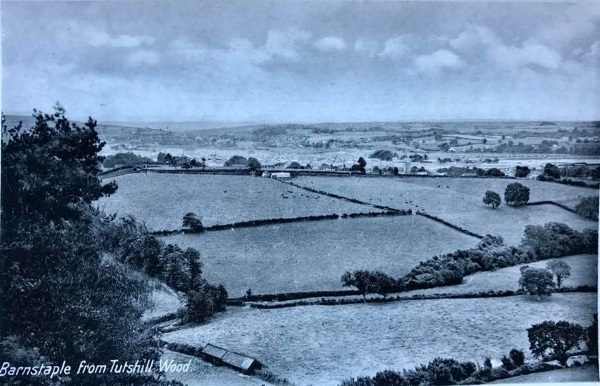 Old postcard showing Manning's Pit area from Tutshill. 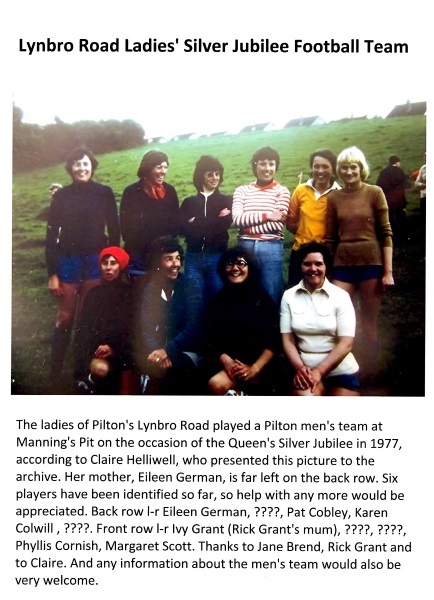 Pilton Longstone Excavation - more information to be added. Barnstaple Art School closed, building demolished, now Waterstones. Pilton Art Group formed, purchase old Pilton School Building. and continue as an Art Group up until the present day. Many members have painted Manning's Pit. Lynbro road built, Manning's way constructed, original footpath from Northfield Lane, into Manning's Pit. Pilton Green Man Festival founded. have a UK Top 20 hit in May 1987 with Prime Mover. takes his son down into Manning's Pit to play by the bridge. Countryside Stewardship scheme in Manning's Pit fields. 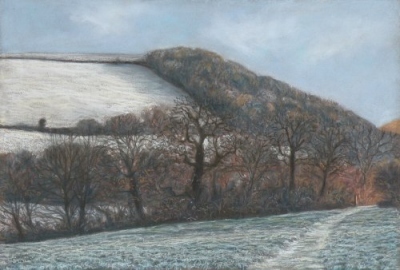 paintings of Manning's Pit by both artists. 40 works bought by Damien Hirst. 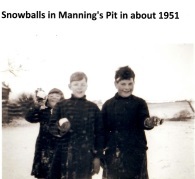 Manning's Pit sold at Auction to Summix Ltd, speculators from London. to bid for the land at the auction in the short time available. Campaign Group launched and the community response is magnificent. unfortunately link to NDJ report no longer works. and starts filming in Manning's Pit. "The Magic of Mannings' Pit." One hundred years after Hector Hugh Munro was killed by a sniper's bullet on the Somme battlefield, Shaun Ley, who also grew up in Devon, returns to Saki's childhood home to explore the environment that made the author. During the three hour programme, well known actor Ben Daniels read one of Saki's most famous short stories, the story of Shredni Vashtar. 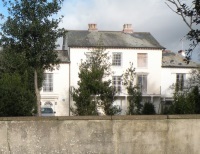 This, above, is the house (as it was when Shaun Ley visited it to make the programme)) where Hector lived as a boy. 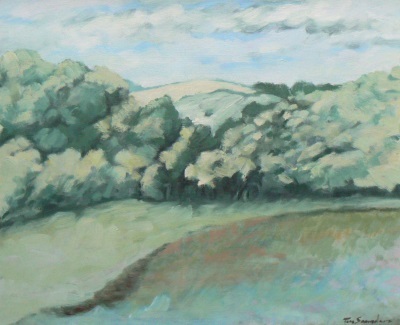 In his day, the fields behind his house led down to Bradiford Water, perhaps 200 yards away. 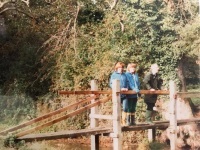 It was a short walk up the river bank to the little bridge that crossed the stream at Manning's Pit. 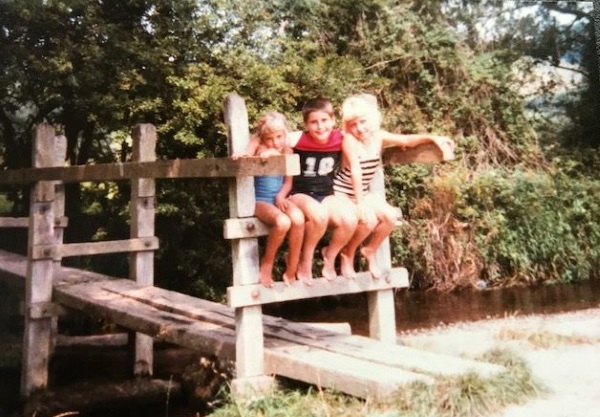 "The great polecat-ferret made its way down to a small brook at the foot of the garden, drank for a moment, then crossed a little plank bridge and was lost to sight in the bushes. Such was the passing of Sredni Vashtar." Was Hector thinking of Manning's Pit bridge when he wrote those words? It seems very likely. 11 artists exhibit, including former Mayor Ian Scott. in February. North Devon Council receives hundreds of letters of objection. This includes paintings by F R Lee, Alan Smith and Mark Manning, among others. 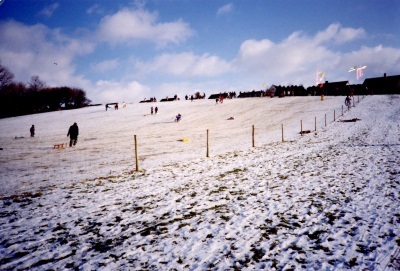 and may have known Manning's Pit, only about a quarter of a mile from Bradiford Hill.